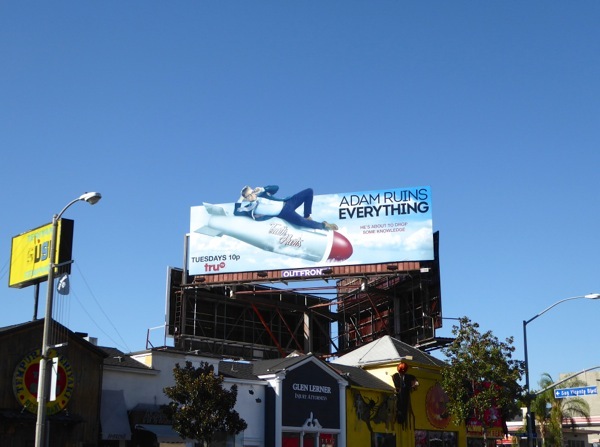 Anyone else think that this billboard for the series debut of Adam Ruins Everything is da bomb? Following his popular College Humor web series, comedian Adam Conover brings you an educational sketch and interview show to shine a light on the truth of many commonly held misconceptions, debunking false ideas and annoying 'facts' of life. Yes, the truth hurts and a little knowledge can be dangerous, so get ready to examine topics like history behind diamond engagement rings, credit card fraud, tamper-resistant packaging, climate change, vitamin supplements and more everyday issues. 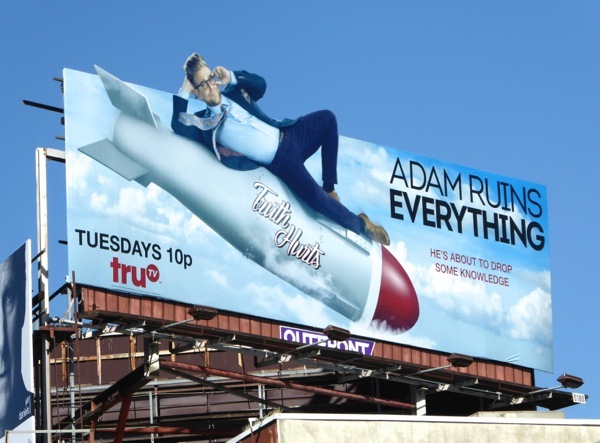 This fun special extension billboard for the series launch of Adam Ruins Everything was snapped in the crowded skies of the Sunset Strip in West Hollywood on October 3, 2015. 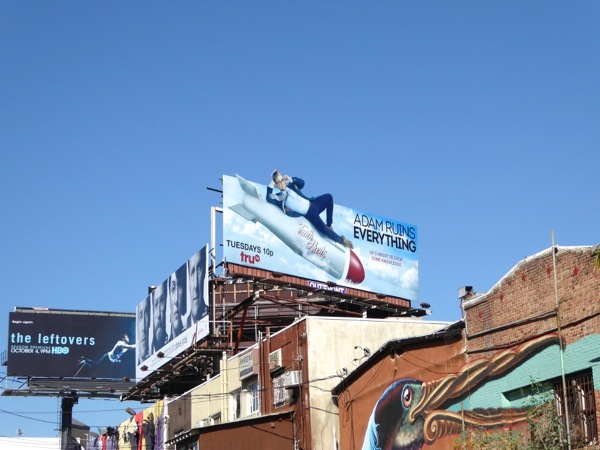 For more bomb and missile-themed billboards, be sure to also enjoy these billboards for the Manhattan TV series, this Syfy Igniters rocket billboard and these Battleship movie billboards. 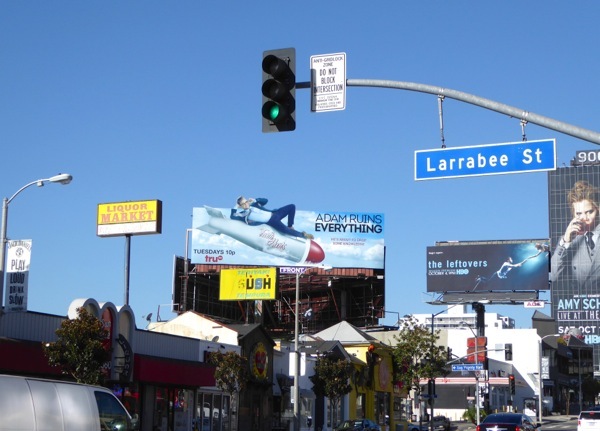 One thing's for sure, Adam certainly didn't ruin this clever billboard.